Brighton’s Black Honey have announced a string of live in-store dates at record stores across the country as they release their debut self-titled album on 21st September. Black Honey are heading to Nottingham Rough Trade on 27th September, for a full live set and to sign copies of the album. Do let me know if you’d like to head down and whether you’d like to receive an advance copy of the album. A full list of the band’s October headline dates can be found below. Check out the video for ‘Midnight’ here. All assets including hi-res images available here. 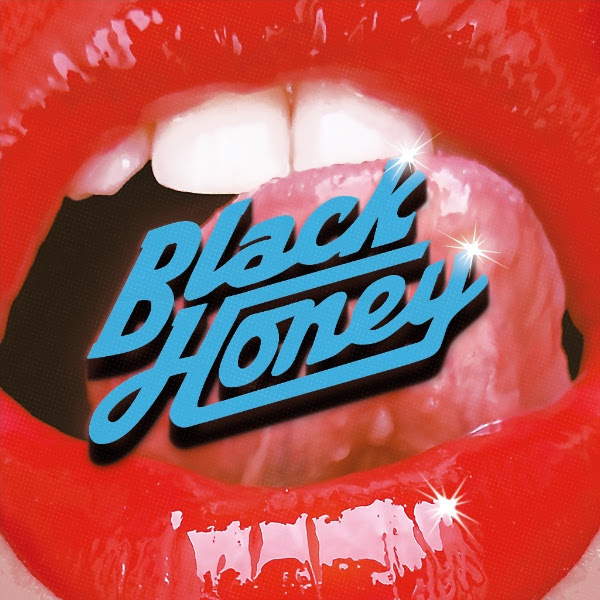 Black Honey– the UK’s fastest rising band – have today shared their biggest single to date. ‘Midnight’is out now and its coming straight for your heart. Bursting out of the ether in 2014 with their squalling guitars, vivid colours and cinematic vignettes, there’s no other British band out there quite like Black Honey. Having spent the last four years perfecting the indie game, everything you think you know about them and their unique surrealist world is about to be wonderfully shaken up as they prepare to release their hugely anticipated debut album. With contradiction at every turn, it’s an album that celebrates being human, in all its different forms and by doing so, will touch the hearts of everyone that hears it. We’ve already heard ‘Bad Friends’ earlier this year, but with the exception of 2016’s ‘Hello, Today’ (the track that saw the band become a household name at Radio 1), and the 2017 closer ‘Dig’, the album is made up of entirely new music with 9 brand new songs on offer. Album opener ‘I Only Hurt The Ones I Love’ – which you can listen to now – is a fascinating Garbage-flavoured meander that sets the tone for the record brilliantly. From there, there’s stone cold classic ‘Wasting Time’, Lana Del Ray nodding slow-burner ‘Blue Romance’ and now ‘Midnight’ steps up to the mark. Across the entirety of the record, you can always feel the bare bones of front lady Izzy B Phillips diary scribbles are just around the corner as the varying tracks switch between chart-headed bangers and scuzzy, industrial David Lynch inspired strangeness. It’s the weird and wonderful mind of Philips – her lovable but villainous, Milky-Bar-kid-meets-Debbie Harry persona – that you find very much at the heart of ‘Black Honey’. An open sufferer of both dyslexia and ADHD, she’s a huge advocate for self-expression without limit and has relied hugely on her band – Tom Dewhurst (drums), Tom Taylor (bass) and Chris Ostler (guitar) – to channel everything that comes from her obsessive and dizzyingly creative head and bottle it into music. The album as a result is ultimately a collage of chaos, shot straight at the heart – honest, inspiring and deeply infectious. With their album finally finished, and never a band to shy away from life on the road, Black Honey have spent the summer playing shows. With festival slots at 2000 trees, Neighbourhood Weekender, Kendall Calling, Tramlines, TRUCK, Finsbury Park with Queens Of The Stone Age and Latitude already under their belts, they’re now looking ahead to RIZE, Bestival and Electric Fields. All in preparation for their very own UK headline tour in October which will see them headline their biggest venues across the country yet. From there, Europe beckons too. See full dates HERE.